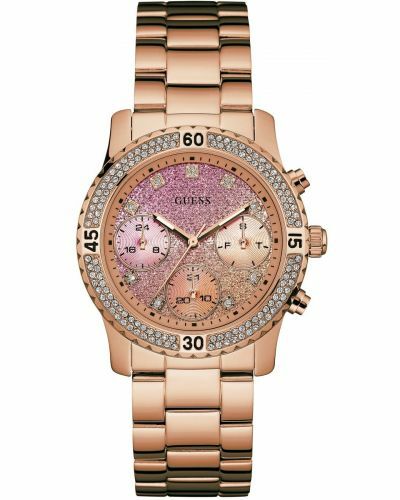 This beautiful women's watch is brought to you by Guess as part of their new 2018 Confetti collection and features a stunning 38mm rose gold plated stainless steel case and striking crystal adorned bezel. 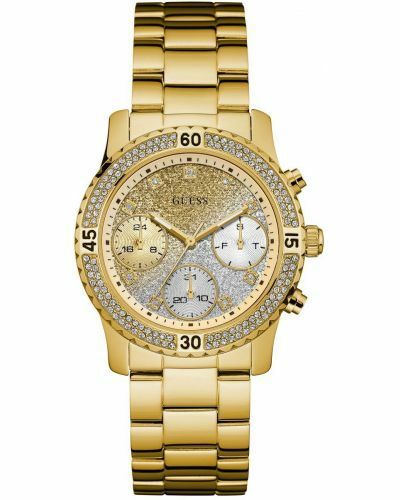 With its glitzy rose gold glitter gradiated dial, the Confetti watch is sure to draw attention. Three sub-dials present the day, date and a 24 hour clock, the Confetti watch provides both style and substance. Elegant rose gold dauphine hands complete this mesmerising dial. 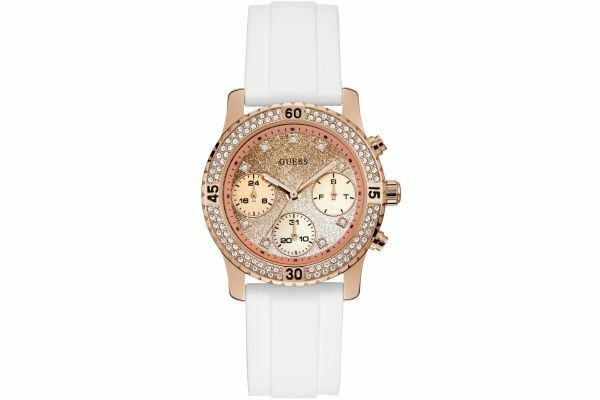 Set upon a simplistic yet sophisticated crisp white rubber strap and fastened by a secure rose gold plated buckle; the Confetti is both comfortable and durable. 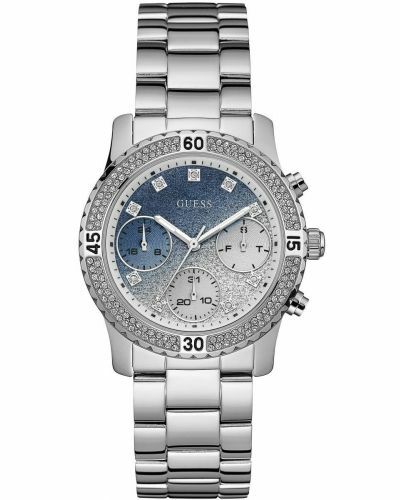 Powered by Quartz movement and water resistant up to 50 meters this bold watch comes complete with a two year guarantee and offical Guess packaging.